It is a JOY for us to share with you... Mamma Agata's capers!!!! We are grateful each and every day to be blessed with a garden where we can grow so many wonderful things!!! 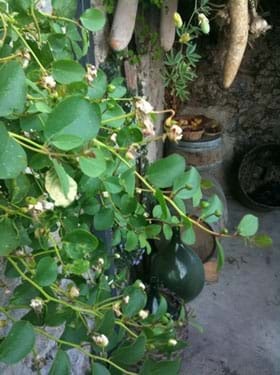 We would love to show you some of our capers from this summer!!! Caper bushes grow in the most AMAZING places!!!! 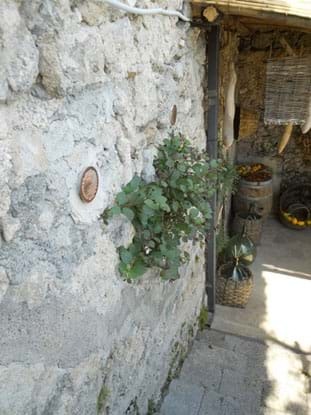 On the Amalfi Coast you will see them often growing on walls... even in the tiniest of cracks!! 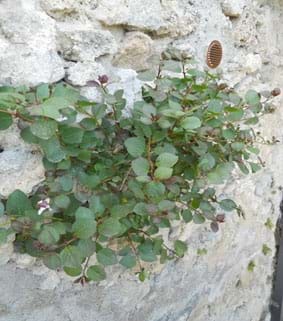 Here is one of our many caper bushes, which grows on the wall along the steps to the garden. Gennaro watches the caper buds each day as they begin to grow... to find just the perfect time to pick them!! 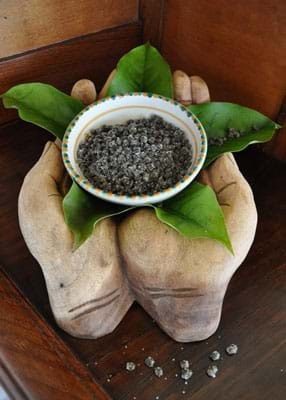 At the beginning of the summer the caper flowers begin to bud... it it is those buds that we harvested and preserve under salt to use in our kitchen and for our cooking classes. They are SOOOOOOO tasty!!! See those caper flower buds??? We harvest some while they are very small... which is when they have the best flavour... while others we let bloom... because then they make the caper berries that so SOOOOO good pickled. YUM!! 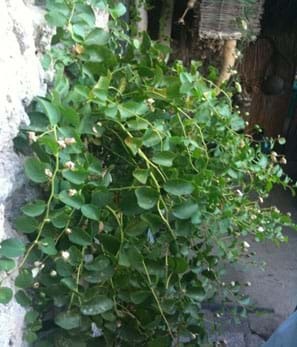 Now the caper bush is SOOOOO big and happy from the hot summer sun!!! 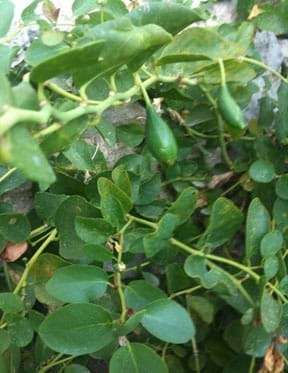 It is wonderful to watch the caper bush all summer long... to see the blooms when they come... to harvest the caper buds... watch the pretty white flowers... and last see the big caper berries form!!!! 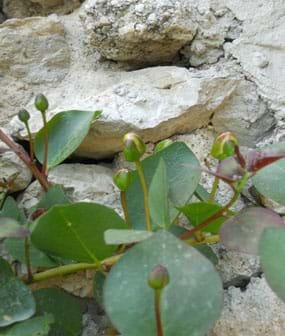 Here are some caper flowers juuuuuuust about to bloom!!!!! 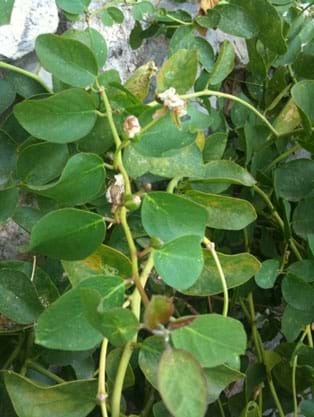 By the end of the summer this caper bush grows to four feet or more long and produces SOOOOOO many caper buds to preserve!!!! Now you can see the big green caper berries!!! 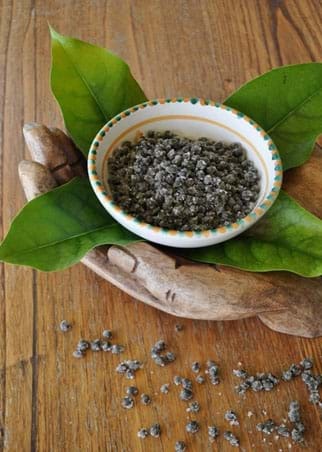 It is amazing how versatile this plant is!!! Here's the final product... Mamma Agata's capers!!!!!!!!!! They have been preserved under salt and are now ready to be used for pasta sauces... and so much more!! !